Philadelphia: J. B. Lippincott Company, 1939. 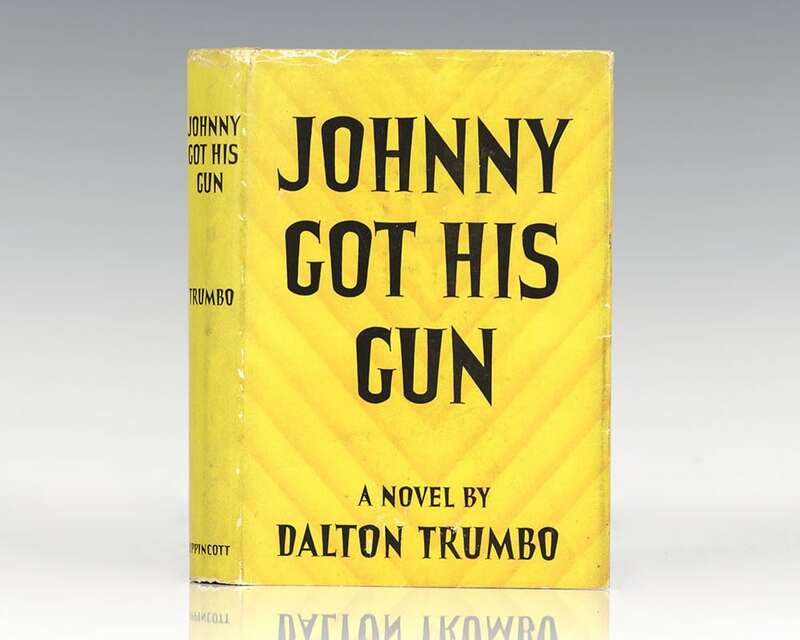 First edition of Trumbo’s powerful novel, which won one of the early National Book Awards: the Most Original Book of 1939. 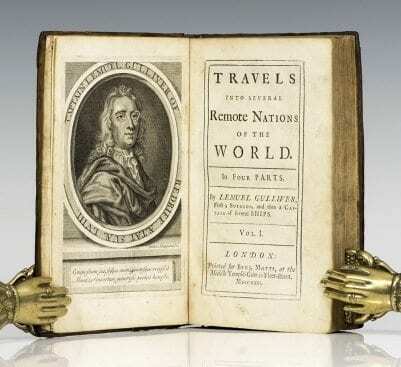 Octavo, original cloth. 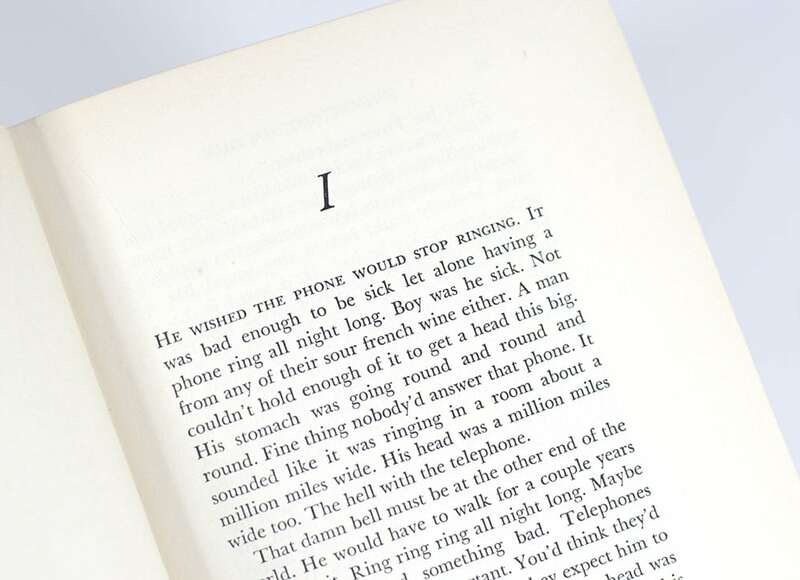 Near fine in the original dust jacket with light rubbing. Uncommon in this condition. 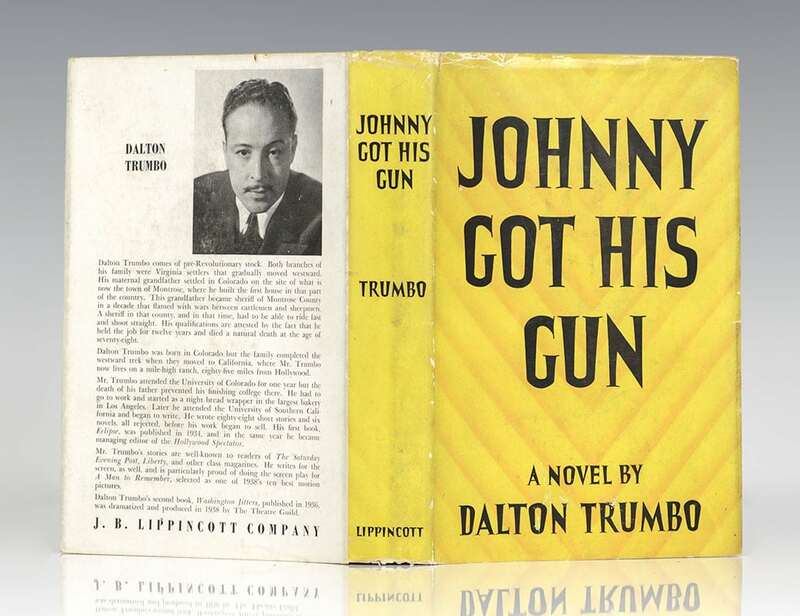 "In what is probably the most effective anti-war statement in American literature, Johnny Got His Gun, Trumbo relates the attempt of a soldier who lost his limbs and the power of all his physical senses, except touch, to communicate his convictions about the Great World War to those already preparing for the next one (Allen, 1386-87). One of Hollywood's premiere screenwriters, Trumbo was blacklisted and jailed for contempt of Congress in 1950, and in 1960 "became the first blacklisted screenwriter to be publicly reinstated" with screen credits in both Exodus and Spartacus. 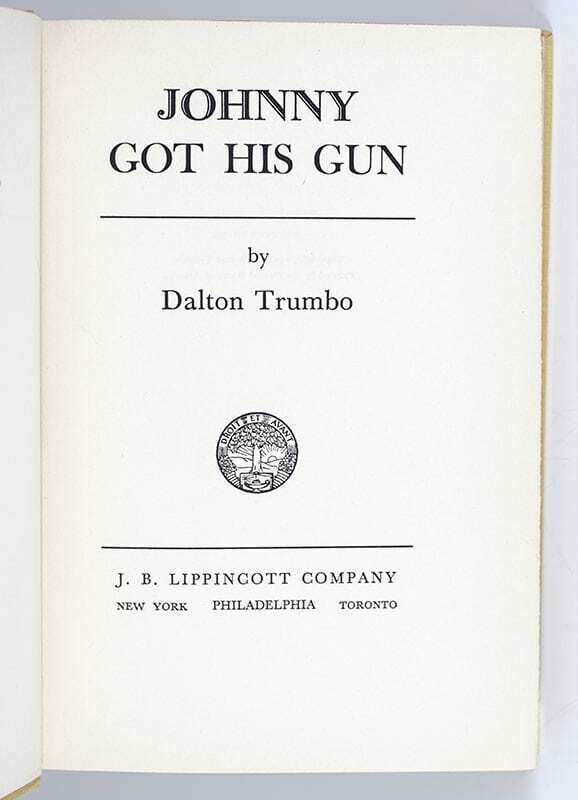 "During his early years as a screenwriter, Trumbo published several novels… Johnny was a great success, winning the American Booksellers Award in 1940… It received considerable renewed attention during the Vietnam War era, and in 1971 Trumbo wrote, directed and partly financed a film version of the book. The film won the Cannes Prix Spécial du Jury and many other awards" (ANB). The film stars Timothy Bottoms, Kathy Fields, Marsha Hunt, Jason Robards, Donald Sutherland and Diane Varsi.